One of the reasons behind Mayava’s success is our commitment to transparency. We take great pains to explain our process to clients and help guide them through the procedures of getting a small business loan. Moreover, we partner with lenders who share our value system in an effort to provide a clear understanding of loan options. It’s surprising to many of our clients that, for the most part, the marketplace lending industry is unregulated. That doesn’t mean that it’s a complete free-for-all. Most of Mayava’s partner lenders are at the forefront of the movement toward greater transparency and volunteer information normally required by regulatory bodies in traditional finance. But there are bad actors in the middle market – the brokerage space – that have caused concern. Mayava was established as the antidote to this behavior and it’s why we have garnered confidence in the industry. Fortunately, our way of doing business is already beginning to overtake the market. But it doesn’t mean we’re in the clear. Here are some things you should be aware of when contemplating an online loan and what we have done to protect our clients as a result. The ease of applying for a loan online has generated great excitment on both sides of the coin. Borrowers love the ability to receive information in minutes or hours and potentially be funded within days. Lenders love the access these portals provide to a wider audience. But borrowers would be wise to exercise caution before volunteering their information to multiple sources. First off, it’s sometimes difficult to tell whether you’re submitting your information to a broker or a funder. Some brokerage sites are cleverly disguised as lenders. These sites exist to aggregate data to send to multiple sources. The danger here is not only losing control of your personal and business information, but also by having multiple “hard checks” on your credit. Technically, authorization to run your personal credit must be given directly by you to the lender, but there’s no way to be certain of this when authorizing a broker who may claim you have given authority to multiple lenders. Multiple checks on your credit may ultimately negatively impact your credit score, which can have deleterious consequences in all phases of your life. Mayava Capital does not run an applicant’s credit. We ask all borrowers to “self-identify” their credit score if they know what it is, or estimate it. We collect enough information from our borrowers to get a realistic assessment of whether or not they might quality for a loan. Once we have made this risk assessment, we speak to our funders to see if the applicant might be a good fit before releasing any data. Once we determine this fit, we reach out to the prospective borrower to acquire more documentation and submit the entire package to the funder we believe is best suited for the file. The other obvious danger in submitting your information to several places or to unscrupulous brokers is that it places your data in jeopardy. 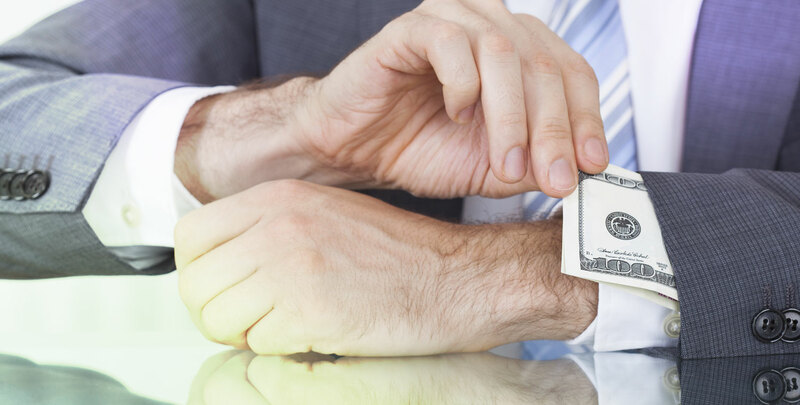 Fraud in the technological era is unfortunately running rampant and can have lasting harmful effects on both your personal life and your business. This brings us back to the original subject matter. Hidden charges, outsized commissions and application fees have unfortunately become all-too-common in the world of marketplace lending. The good news, as we mentioned, is that this is beginning to change. But there are still predatory practices out there to be aware of when applying for a loan through a broker. To begin, many brokers will ask for your bank account information and the authority to debit your account. This is a sure sign that there is an additional origination fee that the broker will charge your account on top of the loan payback. Mayava simply doesn’t do this. Many brokers have the ability to “upsell” a file by placing commission on top of a loan. Believe it or not – and hold on to your hats – some brokers have actually charged upwards of 20% on loans! Thankfully, funders are beginning to crack down on this practice, but borrowers should know that it still exists. 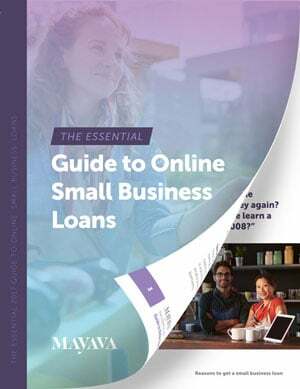 At Mayava, we addressed this easily by stating up front that our commission on every deal, regardless of size, scope, term or other factors, is always paid by the lender and is never abusive. Moreover, this commission is inside the loan, not in addition to the loan, so the borrower receives one payback number instead of having to decipher the total payback on a loan. We only accept payment on successful deals from the lender and never take an application, commission or origination fee from the borrower. Buyer beware. Marketplace lending is still largely unregulated and there are bad actors looking for one-time scores. When applying for a loan online, always make sure to ask whether there are origination fees or additional charges beyond the stated payback amount. If you are applying through a broker, ask them to identify their commission structure and never authorize them to debit your bank account directly.